In the dark and hazy halls of Slush, one of Europe’s most fascinating tech conferences that will take place in Helsinki on December 4-5, you never know what awaits around the corner. This year’s schedule is gigantic, and the fear of missing out is as real as ever. For the fellow Slush-goers, we’ve got one highlight that definitely shouldn’t be missed — the Startup pavilion from Japan. Organised by the Japan External Trade Organisation, or JETRO, it will showcase seven of the most interesting startups from the country. Here’s a closer look at them — but all seven are definitely worth checking out in person. Empath is a startup implementing AI-powered emotion analysis for different customer interactions, from call centres to robotics to health and fitness apps. The company, which lists Fujitsu, NTT DoCoMo, and Smart Dubai among its customers, can single out and rate a number of emotions, such as joy, calm, sorrow, anger, and energy point, in real time. The startup offers its API that returns raw emotion data for free and charges $0.01 per API call for advanced data analytics. It’s also productised the API in the Smart Call Centre that’s there to empower and assess the work of customer support agents. Mobilous has created a cross-platform development tool, AppExe, which allows users without coding skills to put together native mobile, browser-based, and desktop apps. This way, UX designers can get into the driver seat and create products driven by user experience rather than technical possibilities. In addition to that, AppExe has developed voice-recognition and handwriting-recognition solutions that can be used to streamline different processes in large and small companies, from startup team meetings to warehouse operations. 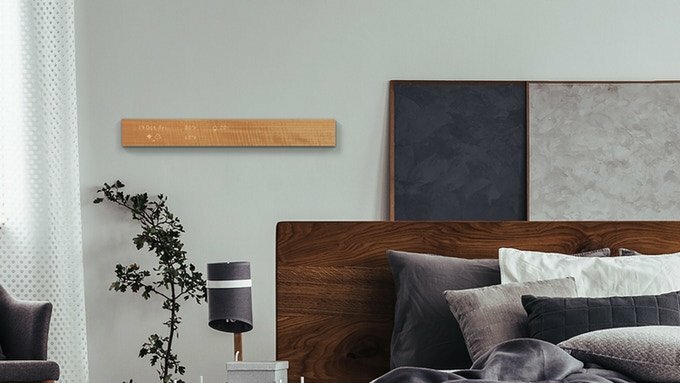 Mui has an unusual approach to IoT: its product is a solid wood panel that features a hidden screen, reacts to touch, and boast a set of sensors. The “calm design device” works as part of a smart home solution. The startup has already launched an integration with IFTTT and is currently conducting a feasibility study with Google Home. The main idea of Mui is not to be as non-distracting as possible. The product is currently live on Kickstarter, with the campaign set to finish on December 8th. GS Alliance is a company working on innovative sustainable materials, such as biodegradable plastic and nanocellulose. An internal company of Fuji Pigment, it’s a research-intensive startup that tackles some of the most important environmental challenges. Biodegradable plastics researched by GS Alliance can be decomposed by microorganism enzymes. First, the polymer is decomposed into smaller molecules, then these smaller organic molecules break into water and CO₂. Technologies like this could end up solving the problem of ocean pollution with plastic garbage. The startup’s other research direction, the so-called nanocellulose (or cellulose nanofibre), is another biodegradable material. It can be extracted from wood waste and used as a battery separator, reinforcement material for plastics, as well as a basis for flexible devices like solar cells and LED displays. Another industry-oriented company, ConnecTec Japan, has developed a technology dubbed MonsterPAC that allows IoT chip bonding under low temperatures from 80°C to 170°C. The innovative process made possible with MonsterPAC does not require large fabs with huge clean rooms for the production of integrated circuits. According to the company’s calculations, it reduces the capital investment by 40 times, footprint by 30 times, and clean room area by a whopping 5,700 times. Vanguard Industries specialises in concept, solution, product, and experience design. It’s already launched a few products and is coming to Slush with a new one, the Ultimate Car Finder. Thanks to a small device that connects to your smartphone via Bluetooth and a special AR application, you can always find your way back to the place where your car is parked in no time. The solution by Vanguard Industries uses a combination of GPS and dead reckoning and is supposedly able to show the way even in multi-storey parking lots. You didn’t think we were going to talk about Japanese startup scene and not mention sake, did you? Yume Cloud, an IoT startup headquartered in Sunnyvale, California, is riding the trend of the increase in both the number of Japanese restaurants and Japanese liquor exports by launching the Masu Glass. The device looks like an ordinary sake glass but features a number of LED lights and sensors to transform drinking sake into an interesting experience. It glows in different patterns, which propagate to other Masu glasses when you touch them to toast. For restaurants and sake producers, the glass can be a source of invaluable insight into how people consume sake. It can also notify a waiter when all the glasses at a table are empty. Come over to the Japanese pavilion at the Slush conference on December 4-5, talk to the founders, and seize the opportunity to take a look at this fascinating tech startup ecosystem.